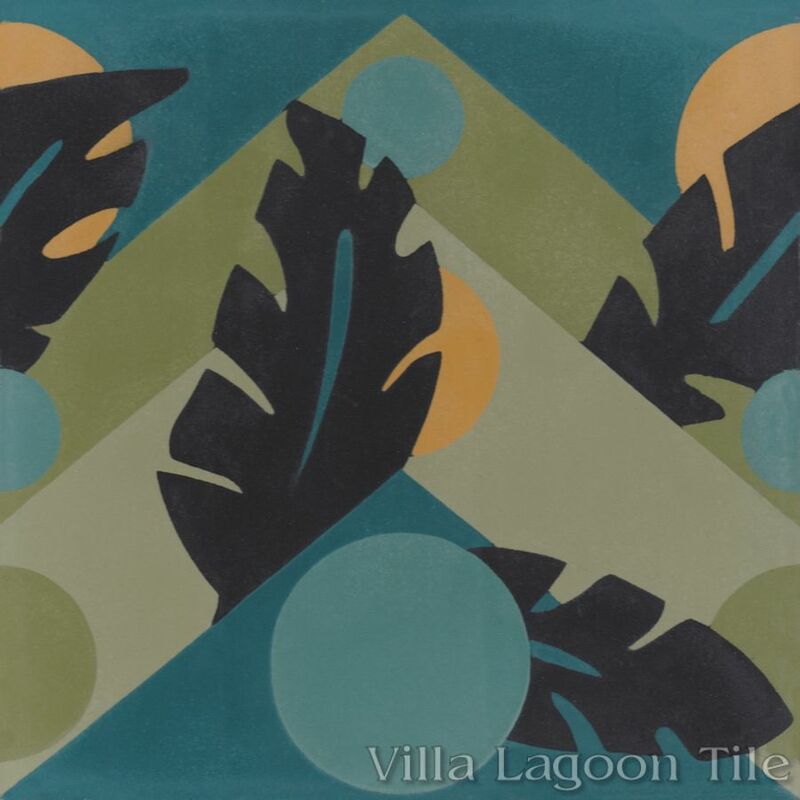 This is a 6-color 8" cement tile, using Black, Picholine, Lichen, Frosted Teal, Nile Blue, and Maple Sugar from the South Beach Palette. 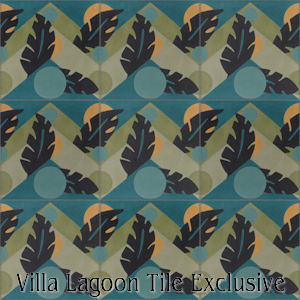 Villa Lagoon Tile's exclusive "Moon Over Havana" cement tile pattern, created by our designer Melissa Adams Dillon and founder Lundy Wilder, was inspired by their cuban tile research trip to Cuba. 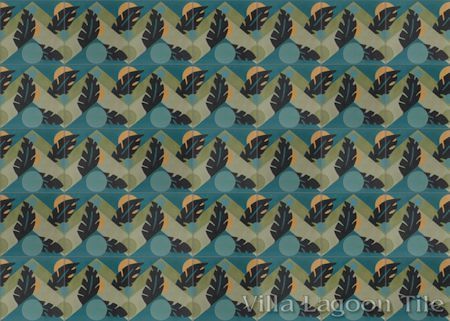 The zig-zag chevrons and circles reflect the art deco stylings popular in Cuban tile, accented by tropical palm fronds. Music clubs in Havana come to life when the moon comes out. 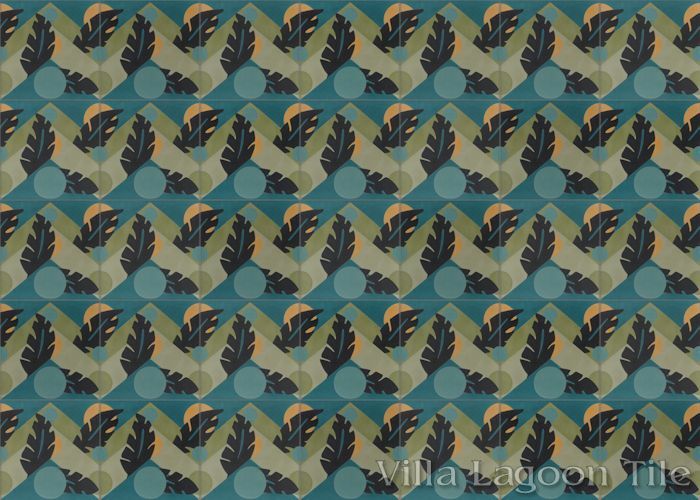 Let our "Moon Over Havana Jazz" colorway bring the rhythms of Cuba to your next project. 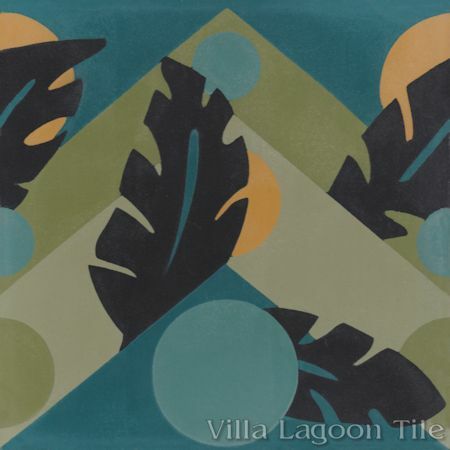 This cement tile has the colors of the tropics and the shadows created by the palms as the moon rises.